You seem to have kept a tradition that we've lost. It's great to see. 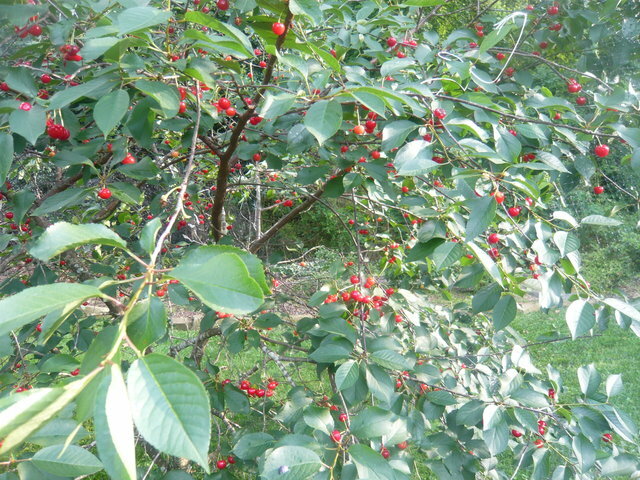 I think the lost tradition is turning the cherries into jam and canning it. If I was building new housing developments I'd put fruit and nut trees in every yard and people would curse me for the smell of rotting fruit every spring. Holy. We've got black cherry but it looks like a middling year. We don't pick til end of July. Poor yield on most pit fruit it looks like. today they look like this. Wow those look great Paul I'd love to have a couple of those trees in my yard!!! 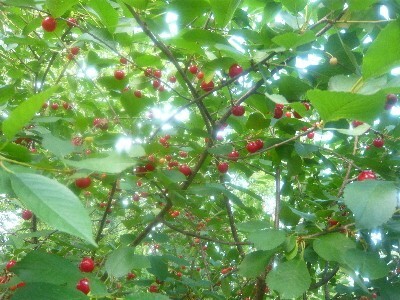 NCPaul wrote: I think the lost tradition is turning the cherries into jam and canning it. If I was building new housing developments I'd put fruit and nut trees in every yard and people would curse me for the smell of rotting fruit every spring. How I wish that UK developers did this! 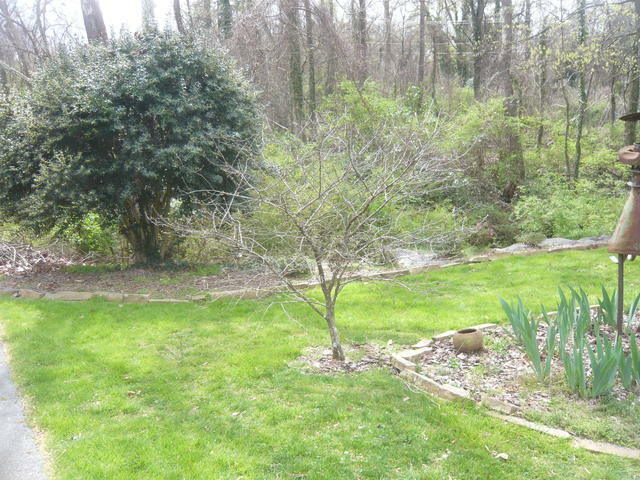 They are dwarf trees Dan, they don't need much space and I would say they do well even in part shade. 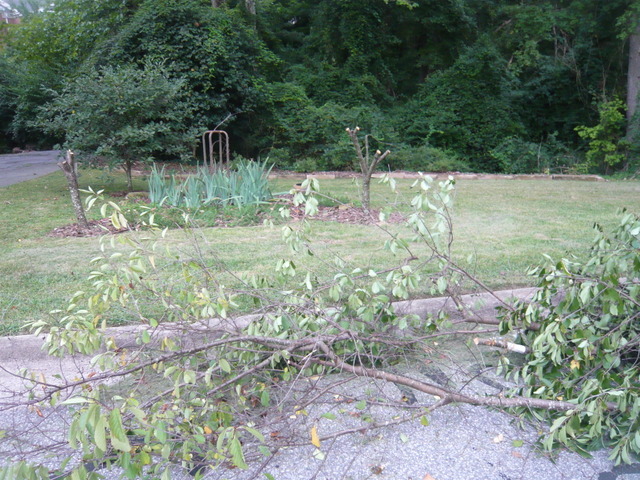 Cherry borers have gotten two of the trees. I'll have to dig out the stumps and start again. Sorry to hear of it Paul, you must be devastated after nurturing those trees for so long. I've been lucky this year and scoured the hedgerows for cherries growing 'wild'. I found a lovely fruiting cherry tree on a supermarket car park nearby and soon had enough fruit for 3 x jars of jam. Driving down a main road on Saturday I saw red black and yellow cherries lying in the road, but unable to stop to investigate. 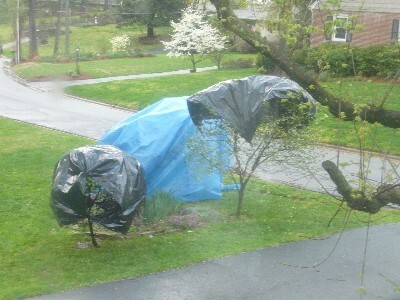 Anyway, lots of luck with replacing the trees and wish you well for the future. 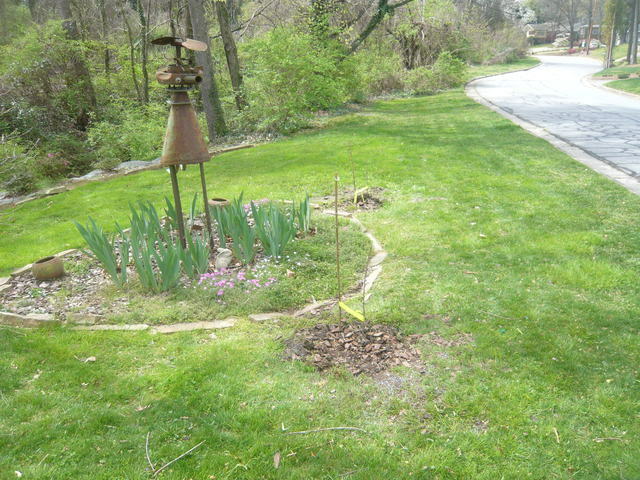 NCPaul wrote: Cherry borers have gotten two of the trees. I'll have to dig out the stumps and start again. That is a shame! Although there is one upside ... cherry wood is my favourite smoking wood Chunk it up and dry it and you should be set for some time. That's a damn shame Paul. Those little sticks being held by the yellow straps are two new Montmorency trees on Gisela 3 rootstock. They should only reach about 8 feet so will be easier to pick. My wife added her sculpture to her garden to watch over the trees. 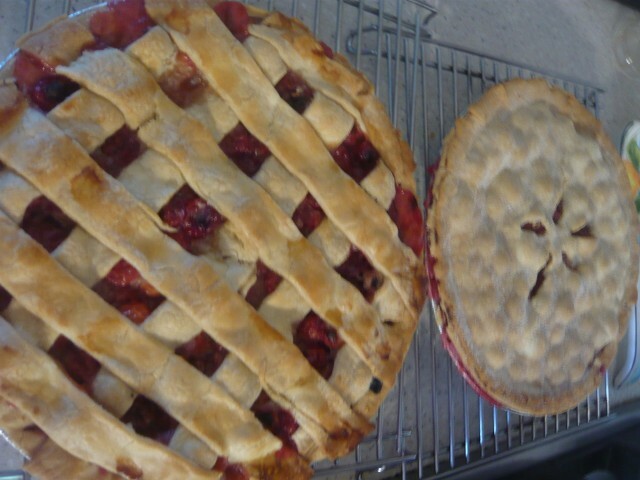 A couple of cherry pies worth. They're never the ones you planted last year? This years update, about four pies worth. It will be about four years before the new ones start producing much.